One of Bonobo's goals is to stay light. To do this, it's important to know what should be part of the core, and what should be bundled as extensions. All the tools required to build and manipulate Graphs. All the tools required to instrument, execute, profile and monitor a Graph. All the interfaces necessary to extend the core with basically anything. Whatever does not fall in one of those categories can still exist in the Bonobo ecosystem, but must be bundled as a separate extension. As we do use a few things that does not fit here, a few official extensions have been built, both do demonstrate a possible way to do things and to be more "batteries included". Docker extension for Bonobo allows to run ETL jobs in docker containers. It also helps a lot the Bonobo development itself, by allowing better isolation for tests, and especially integration testing. SQLAlchemy extension for Bonobo is a tiny extension that defines a few configurable blocks that you can use to work with SQL Databases, like Firebird, Microsoft SQL Server, MySQL, Oracle, PostgreSQL, SQLite or Sybase. Selenium extension for Bonobo is a funny thing. 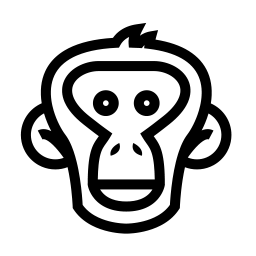 It allows to define a selenium browser as a bonobo service, and use it to extract data (or enrich, of course). It's an experiment over writing web scrappers with Bonobo, and it proved its value for us (even if it could be worthless for your own use case. Last but not least, Python is a realy beast. There are a lot of libraries available to handle basically anything. You want to connect to CouchDB, CouchBase, Cassandra, Neo4J, Titan, OpenLDAP, some open-data provider, etc.? There's a wheel for that! Wrapping the library in Bonobo should not be a lot of work, and if you're in trouble we'll be glad to help! My kingdom for more DataSets! Here are a few resources you can find datasets on. Non exhaustive but consequent list of public datasets: the awesome public datasets list. OpenDataSoft's Open Data Inception project, containing 2600+ open data portals indexed by geography. There are also a lot of datasets on Kaggle, the data-science competition platform. More? Let us know by opening an issue. Did I say we need feedback? Slack discussions and issues are more than welcome! Low volume, get a change list summary of major releases, along with important announcements.